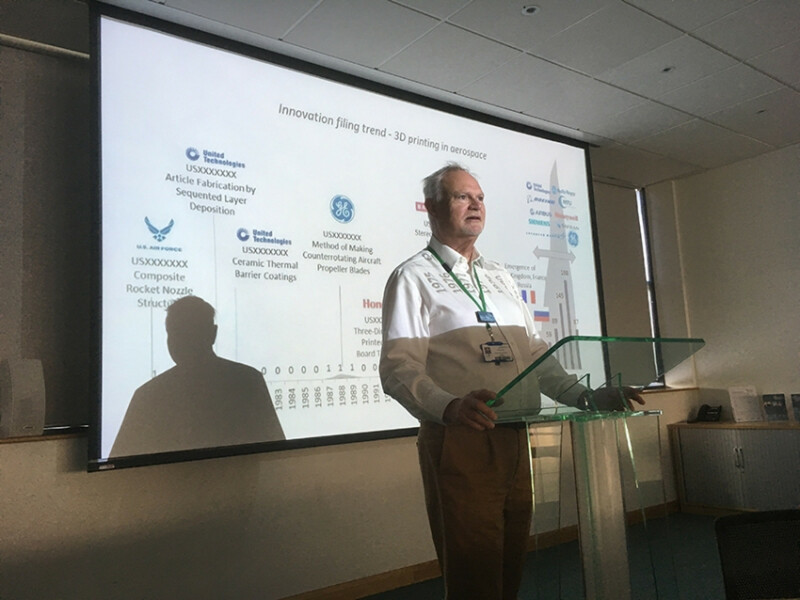 We hosted a successful masterclass on 12 September on Additive Manufacturing (AM), where we were joined by guest speakers from the world of 3D printing. Many major manufacturers are now embracing AM, particularly in high-value, low-volume industries such as specialist automotive, motorsport, aerospace, medical devices, dentistry and jewellery. The event was designed to give those unfamiliar with the technology the opportunity to learn more about its functionality and possibilities and how their business could benefit. Delegates were from a variety of backgrounds including engineering, medical, food and textile manufacturing. Stephen Crownshaw  AM Business Development Manager, UK & Ireland at Renishaw plc  Design for metal AM, maximising form and function. George Hopkins  Engineering Manager at HiETA Technologies Ltd  Powder bed additive manufacturing in metals, controlling machine parameters and combining functionalities. Paul Goodwin  Principal Project Lead at TWI Ltd  Applications for metallic AM and routes to certification. Watch this space for more information on upcoming masterclasses.